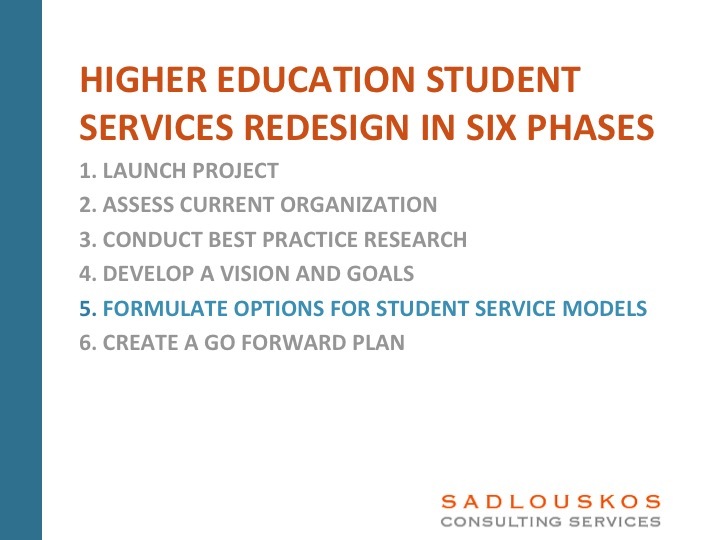 “Formulate Options for Student Service Models” is the sixth in a blog series that provides a high-level process roadmap for structuring a student services redesign initiative. This process can be applied in all higher education institutions for entire student services organizations or individual departments. 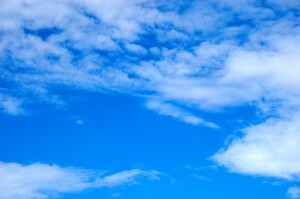 To review this blog series from the beginning, click here. If the “develop vision and goals” work session is a full 2-day work session, there is generally sufficient time to brainstorm possible options. This is ideal because cross campus leadership and other influencers in the design-and-decision-making process are generally represented. Towards the end of the second day, assemble breakout groups. Each group generates a draft student services model that reflects the vision and goals. 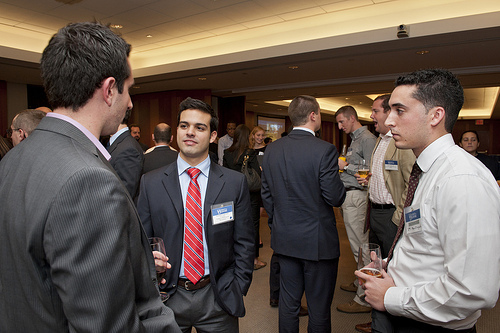 The breakout groups capture the pros, cons and risks for their respective option. The goal is to present all the options to the larger group and select the best 2 or 3, which are then handed off to the project team. • Critical success factors required for implementation. The final decision will likely fall to the steering committee or to a sub-set leadership group, which may include representation from student services, academic leadership, and IT leaders. A facilitated, in-person discussion is optimal to capture ideas and explore multiple perspectives. The deliverable and expected outcome is a consensus for the future student services model. The model selected is the basis for developing an implementation/transition plan in Phase 6. 1. Are additional resources required to augment the project team to generate quality student service options? What other skills and expertise are required to recruit? 2. What mix of cross-campus representation should be included in selecting the final future student services model? 3. Does the future student services model align with the vision and goals? “Develop a student services vision and goals” is the fifth in a blog series that provides a high-level process roadmap for structuring a student services redesign initiative. 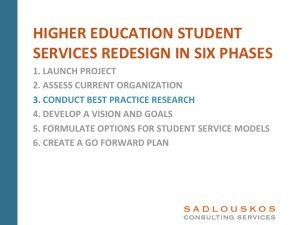 This process can be applied in all higher education institutions for entire student services organizations or individual departments. To review this blog series from the beginning, click <here>. The goal in this phase is to begin crafting a student services vision to support an optimal student experience. Inputs into this phase include a critical review of the current student services model (Phase 2) and research conducted on alternative models and peer institutions (Phase 3). Once the vision is created a set of goals is developed that are SMART (specific, measurable, achievable, results oriented and time sensitive) to successfully realize the vision. Together, the vision and goals anchor the student services model to a foundation where performance measures can be set. A best practice in this phase is to convene a 1 to 2 day work session with a cross section of campus and student services leaders and other key influencers such as faculty. The retreat serves two purposes: creates a dialogue about the student experience as it exists today and second, harnesses the brain power and creativity of key constituents to envision an optimal student experience. Review current state assessment and best practice research. Gain agreement on the strengths, weaknesses and opportunities for improvement which student services organization should prepare to address in the future. Develop a vision and a statement of values to guide the behaviors of the student services organization members. Identify major goal areas for discussion and development. If this is a cross campus student services redesign effort, consider priority areas of improvement. Do we have the right mix of campus stakeholders in the room? Does the Student Services vision and goals align with the institutional mission? 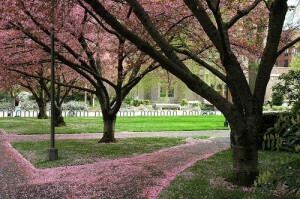 Does the vision and goals optimize the end-to-end student experience? “Conduct Best Practices Research” is the fourth in a blog series that provides a high-level process roadmap for structuring a student services redesign initiative. This process can be applied in all higher education institutions for entire student services organizations or individual departments. To review this blog series from the beginning, click <here>. 1. 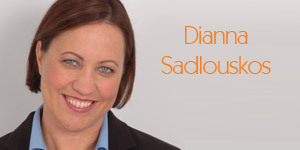 Evaluate best practice student service models. Identify improvement opportunities to optimize the end-to-end student experience. Understand organizational models that support a shift from a function driven to a purpose driven support model. Cast a wide net when evaluating student services models- review institutions of all sizes. 2. Evaluate individual service areas. Select one or two individual departments that require the most innovation. Identify external institutions that are considered forward thinking in how they approach these service areas. Examples may include student recruitment models that leverage social media or career services that leverage non-traditional pathways for job placement support. 3. Conduct student demographic market research. Leverage student demographic data from the institutional research organization. Use this data as a baseline and determine if there is additional information required to understand the needs of your student populations. Depth of understanding will provide context for how services need to change to maximize the student experience. 4. Conduct peer institution research. Look at peer institutions and what can be learned from them. Determine which elements of their models may work well in your institution. How are these institutions leveraging resources differently? What differs in the overall student experience? 5. Understand overall trends and potential disruptors to higher education. Consider MOOCs and other recent innovations that pose the potential for major institutional change. Try to estimate how trends in these ancillary areas affect the student experience and the potential to influence student service offerings. 1. Review the State of Student Services Assessment Brief from Phase 2. What other research data may be helpful in redesigning student services? “Assess the Current Organization” is the third in a blog series that provides a high-level process roadmap for structuring a student services redesign initiative. This process can be applied in all higher education institutions for entire student services organizations or individual departments. To review this blog series from the beginning, click <here>. Step 1: Review background data. The background materials may include: department strategic plans, marketing materials, process maps, annual reports and other existing service materials. The goal is to understand the student services eco-system in its entirety. Intelligence gathered during this step is used to develop interview guides, focus groups guides and survey tools. Step 2: Conduct individual interviews. Individual interviews are conducted with campus, academic, and administrative leaders in each of the student service areas. The goal is to develop a complete picture of the strengths, challenges and opportunities to improve services. Describe the strengths of the current student services model. What distinguishes your institution’s student services from others? What is your institution’s vision for student services? Where are there opportunities for improvement? What role will campus leadership have in guiding student services towards their vision? How will instruction influence this process? What guiding principles should the steering committee consider when prioritizing initiatives? Which external organization’s student service model do you recommend for best practice research? Interview results are then used as input to design focus group guides. Step 3: Conduct focus groups. The objective is to ensure that all key demographic perspectives are represented in the organization review. Focus groups are assembled with students, cross-sections of departmental staff, and faculty. Focus group questionnaires are developed with the audience in mind. As an example, student focus groups may focus on identifying experiences as they progress from enrollment through commencement. The facilitators gather real stories to add qualitative context. Faculty focus group participants may discuss what they see and hear from students and how current service models impact the academic experience. Staff provides insight into opportunities for service improvement, service strengths and ideas for vision. The final step in this process is analysis and synthesis of all data collected. The project team will create a State of Student Services Assessment Brief. This document represents a summary of findings. What student needs are currently going unmet? Does the State of Student Services Assessment Brief provide a complete picture of the current environment? These responsibilities can be combined as required by resource allocation for this project. A key deliverable of this step is a project charter. This document will provide an overview of the project organization and plan; detail the approach, scope and objectives; include a communication plan and qualitative and quantitative project metrics. A formalized steering committee is the audience for the kickoff meeting. The project leader uses the project charter to guide the conversation to confirm the project’s approach, scope and objectives. In addition, the approach for data collection, draft list of interviewees, focus groups and proposed peer institutions for best practices research are presented. A formal communication plan is also reviewed and confirmed with the committee. The project leader is now ready to initiate the project. At this point, interviews and focus groups are scheduled and formal communication is sent out about the student services redesign effort. Does the project team have sufficient resources to enable success? Are project communication tactics with the project sponsor, steering committee, key stakeholders and campus constituents clearly defined and ready to execute? Who needs to be included on the steering committee to ensure project has cross-campus support and buy-in? Reset the system to create incentives for student and institutional success. The challenge for most higher education institutions is to identify where to put the stake in the ground and begin the reinvention process. Should the assessment process begin with people, process or technology- or all three? I recommend a 6- phase process for initiating a redesign. This blog post introduces the phases recommended for beginning a redesign effort. In subsequent posts, I will detail how to engage in each of the 6 phases. Committed executive sponsorship: President, Provosts, academic leadership, and administrative leadership all need to be on board for supporting this effort. Committed senior student services leadership: Provides resources and support for initiative. Assigned project leader with a work team: Using volunteers is tricky. A truly transformative initiative needs committed resources. If performance is only tied to day-to-day responsibilities that are unrelated to this initiative, only those responsibilities will be the priority. A best practice in overall project success is to formally allocate a % of the assigned individual’s time to this initiative. Align project outcomes to performance metrics to guarantee the initiative maintains priority status. Allocated project administrative support. Communication, scheduling and resource management need to be carefully managed to ensure the project stays on track and continues to move forward. What will it take for my campus to prepare for a student services redesign effort? Do we have the right resources allocated to this initiative? What other campus partners can improve our success in executing this initiative? What is the status of the 21st Century Initiative? What are 21st Century Initiative implementation options for your community college? How does the quality of the student experience compare across all student demographics? If student services are top of mind for your institution- where do you begin? (Check out the student services redesign blog series). Are you interested in having a conversation about how your institution can maximize alumni relationships? Contact me at [email protected]s.com.